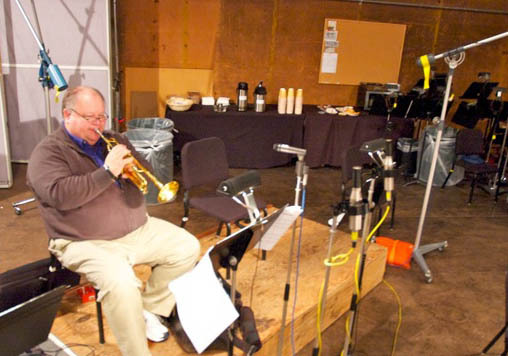 As a trumpeter, Ray has worked with scores of noted classical and popular artists and has played on numerous Hollywood motion picture sound tracks. 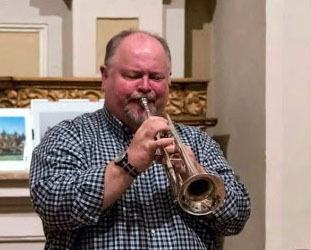 He has performed and recorded on baroque trumpet and has been a featured trumpet soloist on both modern and baroque instruments. “In Here: Music & Lyrics by Charles Bloom.” 2012. “Fiat Lux” McGinty Music, 2009 (Christmas music for eight and ten brass). 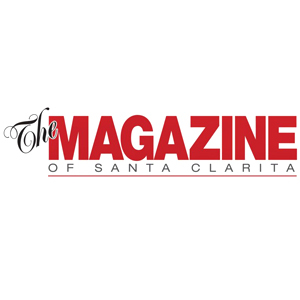 Arranger and performer. Raymond David Burkhart, “Watercolor Menagerie.” Premiere Brass Quintet, 2004. Composer, performer, and producer. “Parthien 10-14,” by David Moritz Michael. Pacific Classical Winds, 1998. Performer on natural trumpet. “The Water Journey,” (and Parthia 1) by David Moritz Michael. Pacific Classical Winds, 1996. Performer on natural trumpet. 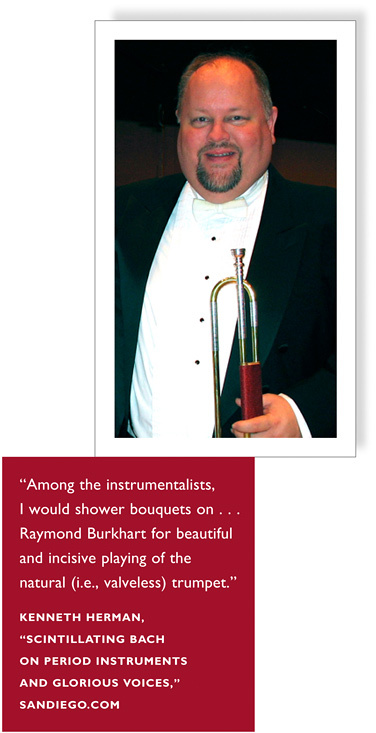 Especially noteworthy was the fine work of trumpetist Raymond Burkhart.